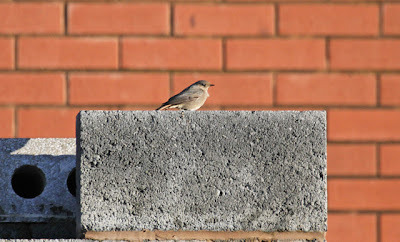 Bill Aspin's Birding Blog 3: Lancs: 25th Jan 2012. A fair amount of effort today started with a 1.5hrs of attempted Gull watching at Whinney Hill Tip. The Gulls were not being cooperative, so I moved on to Rishton Reservoir, Brockholes, and Over Wyre where I failed to find anything amongst the three sizeable groups of Pink-feet I located and I eventually succumbed to twitching the Knott End Black Redstart. A Little Egret showed well on the saltmarsh at Knott End. Three small herds of Whooper Swans totalling 18 birds were seen whilst driving around in the search for Pink-feet. I headed back via Eagland Hill where a flock of c30 Corn Bunting came up from stubble, perching nicely in a roadside Hawthorn. Nothing of note was seen in the Fishmoor Res Gull roost. Above: Black Redstart - KnottEnd. 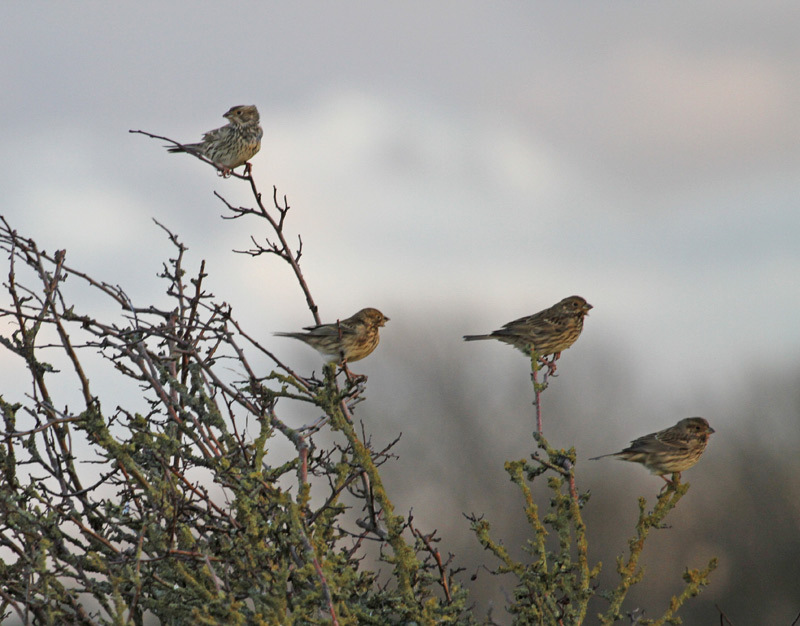 Below: Corn Buntings - Eagland Hill. 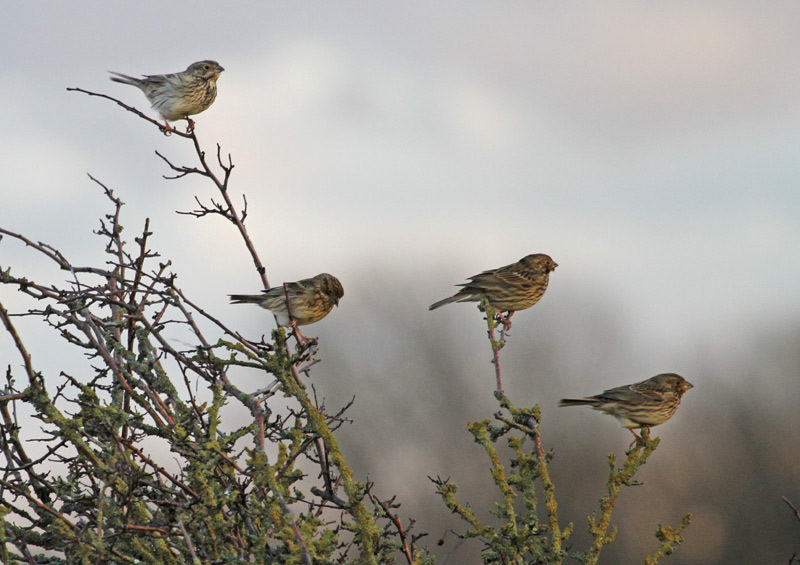 Bill Aspin's Birding Blog 1 - Spanning the period 15th May 2005 - 23rd Aug 2008. 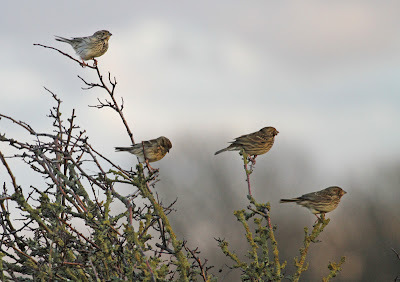 Bill Aspin's Birding Blog 2 - Spanning the period 24th Aug 2008 - 28th May 2011. Iceland Gull: Fishmoor Res, Lancs - 1st Jan 2012.